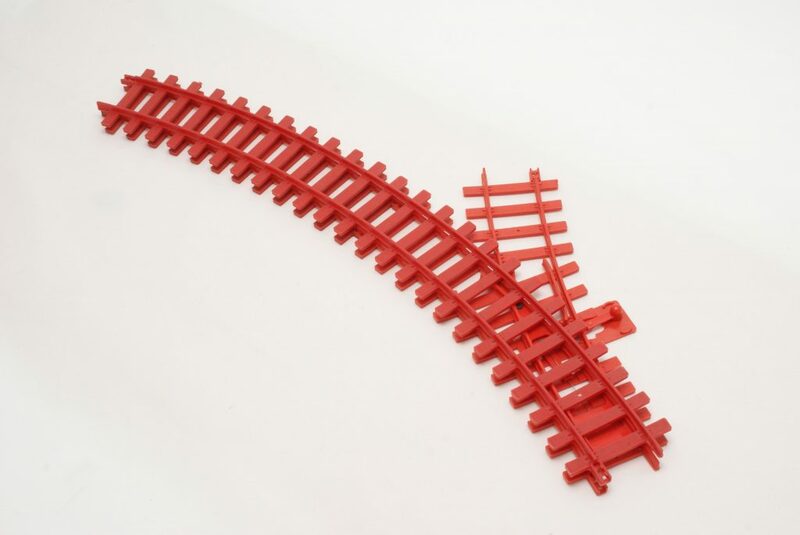 The Big Big Train has a specific track geometry which means that you can fit together specific track items to create a layout. This is not very important if you create a point-to-point layout to run a train back-and-forth with the use of the track-side switches but if you want a layout to run a train in some sort of circle than you should have a nicely closed layout. 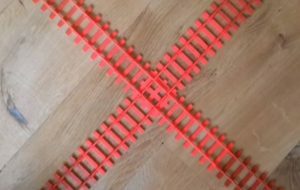 This geometry means that certain combinations of track segments match others so a good fitting layout can be constructed. For instance the length of a y-point is equal to the length of a halve curve thus a y-point fitted to a halve curve track as a curve is as long a large curve track. Funny enough not all combinations match. You would expect the length of a combination of a y-point and one or two fitted halve curves is equal to the length of one straight track segment but that is not the case. If you have ever laid down a Big Big Train circular layout then you know the combination of track segments to make your trains run smoothly. You might also see the limitations of this geometry for instance the curves are only in one radius and the straights come in one size. 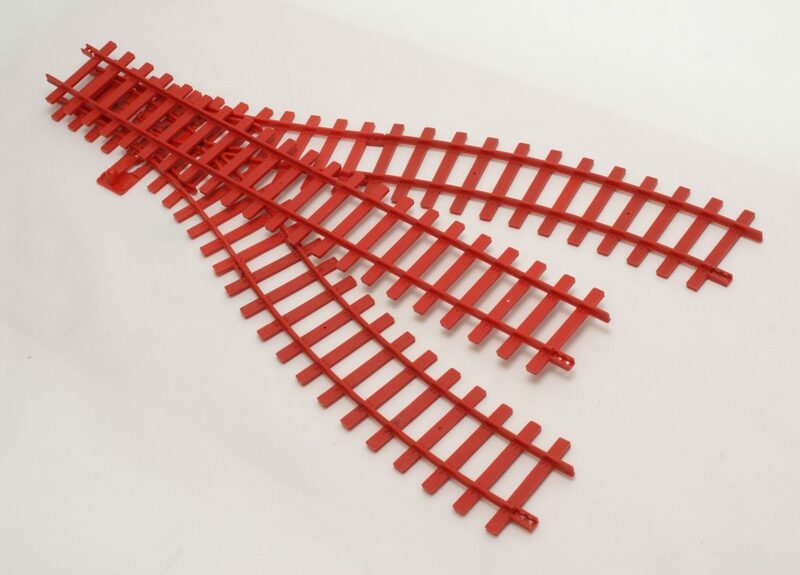 Now some time ago I came across an advertisement on a Dutch marketplace site that showed a strange piece of red track that I immediately recognized as Tri-ang Big Big Train track. The strange thing was that although I recognized the color I did not recognize the shape because it was a crossing! 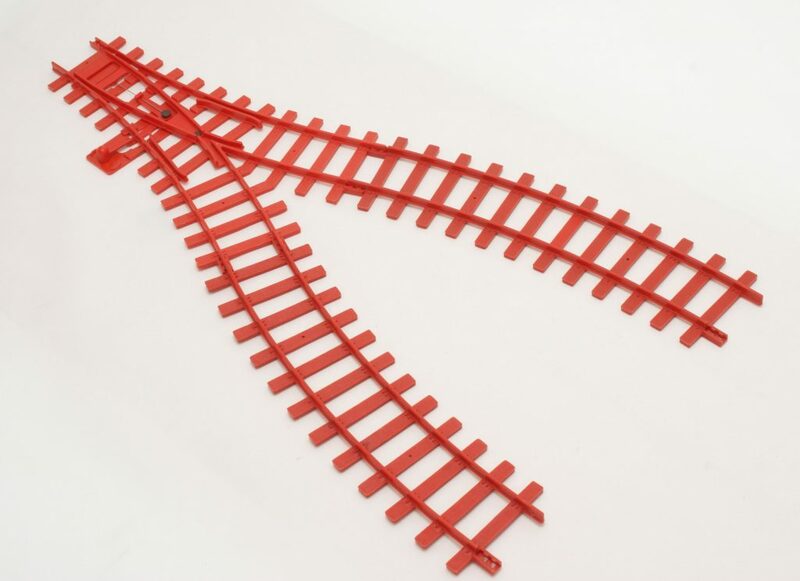 I think at that time this guy that sold this crossing also sold a smaller straight of 5 sleepers long and it appeared that he was a tri-ang Big Big Train enthusiast that designed these track segments himself. I thought it was very impressive. It was later when I saw his designs on Shapeways and I came into contact with the designer himself by sheer coincidence: he bought some of the track that I sometimes sell on Ebay and I recognized his last name. The guy’s name is Vincent Tuinder and he has created some very interesting new track segments for Big Big Train. 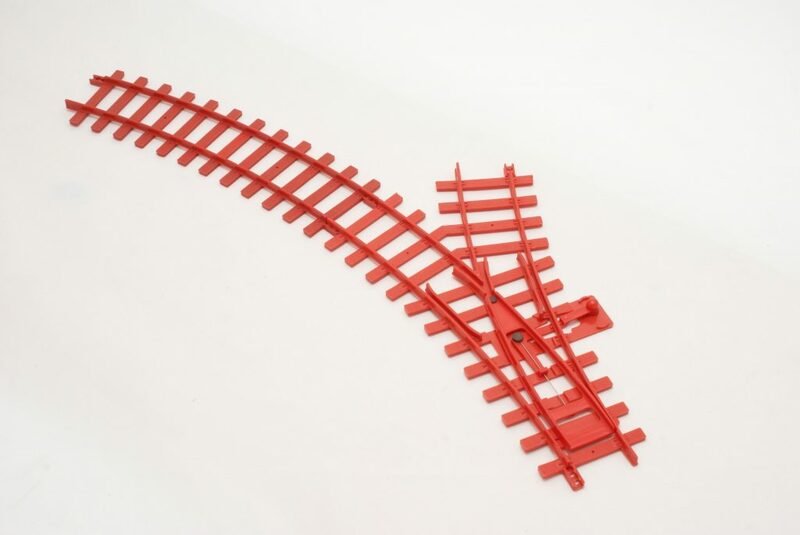 I already mentioned the crossing but there are also several lengths of straight track and some ingenious parts to repair damage to the connectors of the track. Especially the crossing combined with the different lengths of straights add new possibilities in creating a layout. Click here to see the video of The Big Big Train crossing! Anyway the designs of Vincent Tuinder can be admired and bought in his very own 3DTuinder Shapeways shop. I suggest you take a look there and I am sure you have not seen the last of his designs. More to come in the near future and of course I will post here if there is interesting news!